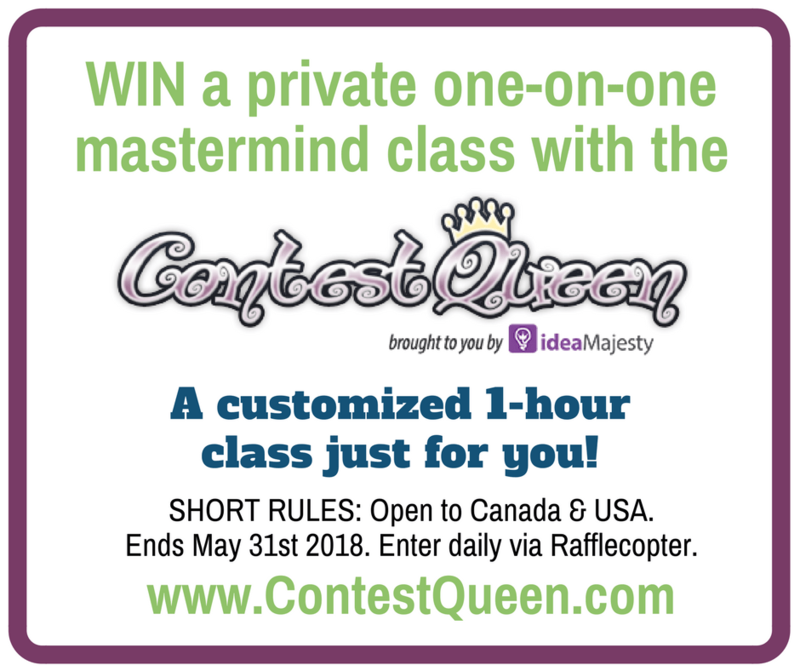 Win a One-on-One Private Contest Masterclass!! It’s that time again. 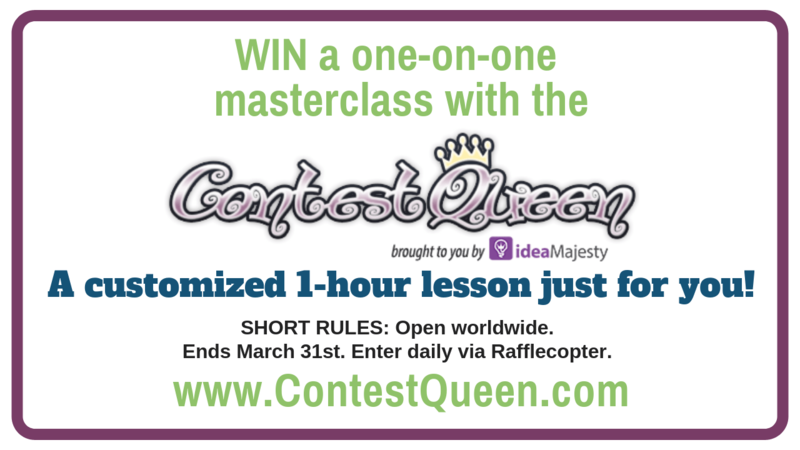 It’s your chance to win a one-on-one class with me. If you are this month’s lucky winner, I will customize a 1-hour class just for you! The winner of this drawing and I will settle on a mutually convenient time in May for their one-on-one Masterclass. All classes are hosted on Zoom. 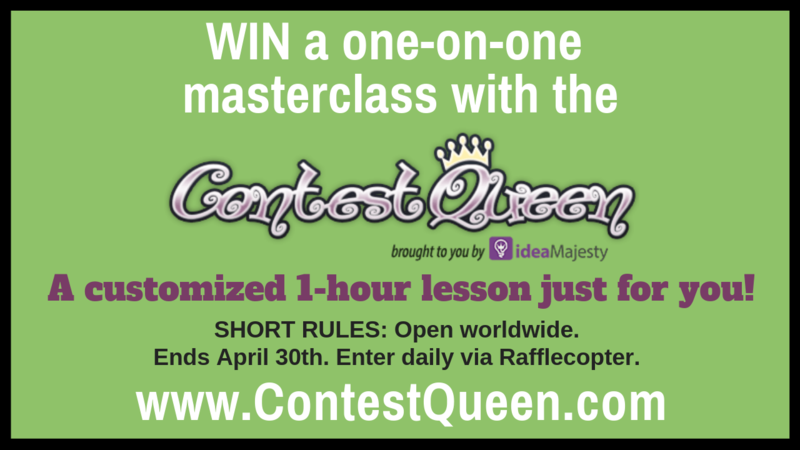 SHORT RULES: Win one (1) private one-on-one 1-hour masterclass with the Contest Queen (ARV $250 USD). Open to Canada & the United States. Ends at 11:59pm ET on Thursday May 31st 2018. Entries are only accepted within the Rafflecopter widget above. I would LOVE to learn how to search for my own sweeps. I want to learn search techniques for local sweeps (Michigan especially). I know there are certain google techniques to search for different sweeps and I would love to learn tips and tricks! How can I win more! I spend a lot of time entering for the small amount I win. I love your site! Thanks for giving newbs like me hope! I would like to learn about searching for local/provincial/national contests on Facebook, Instagram and Twitter. How to narrow down Canadian contests from the others.